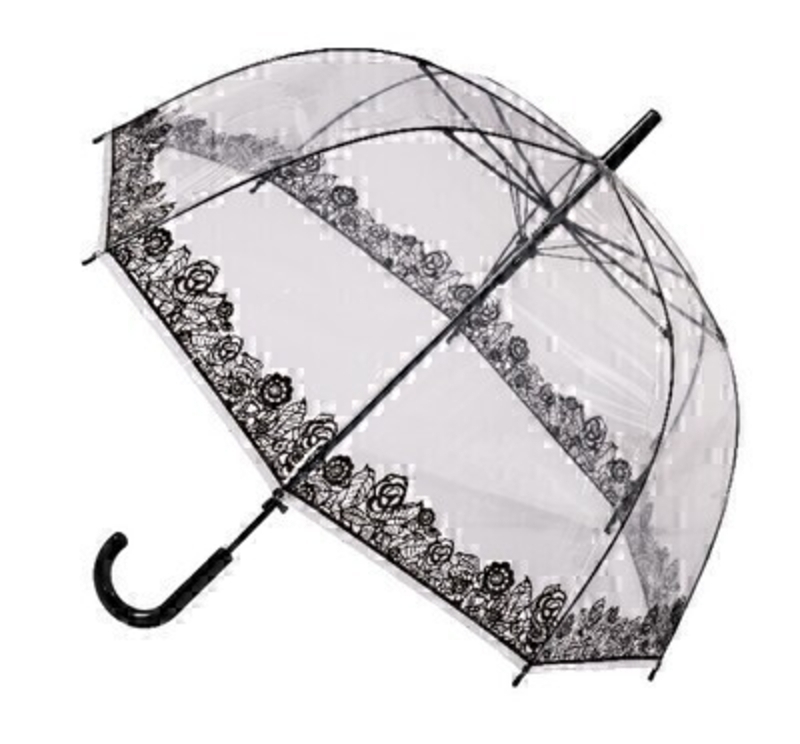 This clear transparent dome Stick Umberella featuring Black Lace is very eye catching. With virtually unbreakable fibreglass ribs it allows for flexibility in windy conditions. A secure velcro fastening and black handle finish off this stylish design.